Paul Williams is a freelance spymaster. The office in San Francisco is described as a grubby little one with a sign on the door announcing World Press, Inc. From that office, occasionally, comes a news report or two, helping to make the company look and act legitimate. But far more information flows into the office than out, keeping the occupants well-versed in what was happening around the world. The sole owner of World Press is Paul Williams, a large man of 6'4" with shoulders and arms of a heavyweight boxer and thighs of a football player. Scarred in numerous places, Williams looked like he had earned the nearly fifty years he had lived. Those who knew that during WWII he had been one of the best OSS operative understood the scars. Fluent in both Japanese and German, Williams had worked behind enemy lines in both theaters of operation and had made significant contributions to the success the Americans had. After the War, Williams had been virtually everywhere, working first for the American government and then as a freelance operative for any of the Western powers. With the help of his love, the beautiful, vibrant, and incredibly deadly Leah, formerly with Mossad, and a couple of others, his team was known as Blue Fox and was thought to be the best. 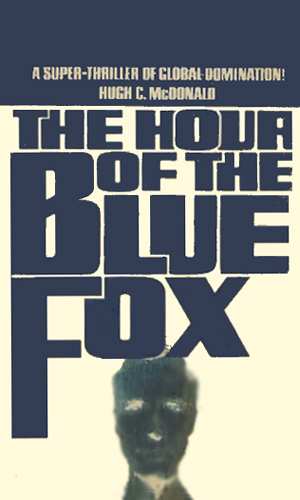 When a country needed a problem solved that was outside the norm and possibly too sensitive for an established department to take care of, it was Blue Fox that was usually called. Sometimes Williams and his people were already on the problem. Though he is quite capable of handling missions on his own, Williams knows how to delegate work and he is good enough at picking capable agents that he can send them out and know the job will be done the way he wants. On an island off the Balkan peninsula, scientists are working to perfect a bacteria which could greatly disrupt life as we know it, all with the purpose of bringing about a new world order. Paul Williams and his team are hired by the CIA to stop them. The message from the terrorist calling himself Ruby stated that there were five cities in Isreal mined with atomic bombs, ready to be exploded. The CIA hires Paul Williams to track down Ruby and stop the next holocaust but there are other players with their own agendas. 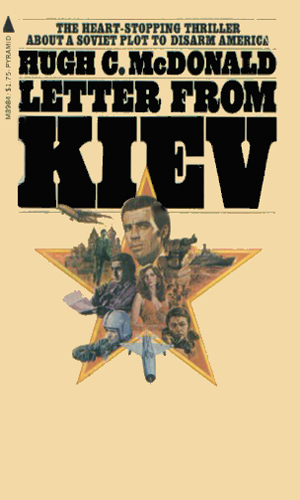 When word came to the President that the Soviets were finishing with some item which would bring America down, he demanded that the CIA use everything to find out what it was. Paul Williams and his team were already on the job. The item known as K-W 4 was something so terrible that the several CIA men who had already tried to get their hands on it has died most horribly. Now the CIA has hired Paul Williams to find out what it is and to get it out of Russia. 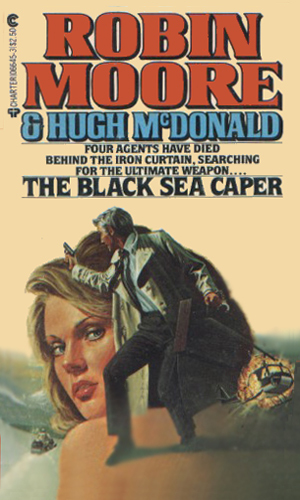 The first three books in the series were written, according to the books, by Hugh C. McDonald, an ex-Military Intelligence operative who had his own group similar to Blue Fox. 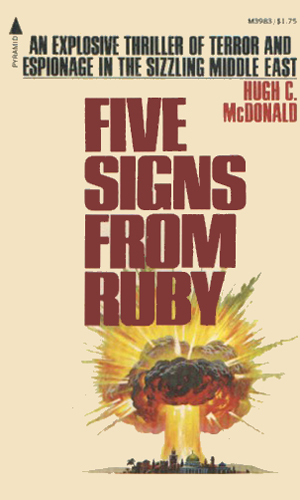 The fourth book, written a few years after the first three, is by Robin Moore and Mr. McDonald. I don't know anything more about it. I really liked the first three as the action was terrific and the characters were quite interesting. The fourth one definitely had a different feel and was far more straight-to-video than theater release.